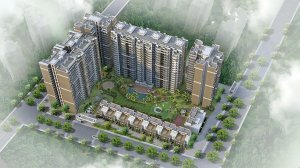 Airwil Intellcity in Noida Extension. This is going to be a fantastic choice for commercial spaces, it would boom your business. It offers shops space and office space.